A better thing of using iPhone is that you can find your contacts in iTunes if you lost them, even lost your iPhone or get it broken. We all know that iTunes can backup your iPhone contacts when you sync your iPhone with it, but the backup is unreadable. How can we get iPhone contacts from iTunes, even without iPhone 5, iPhone 4S, iPhone 4 or iPhone 3GS? It's pretty simple. Just read on and follow the guide below to find your iPhone contacts in iTunes. 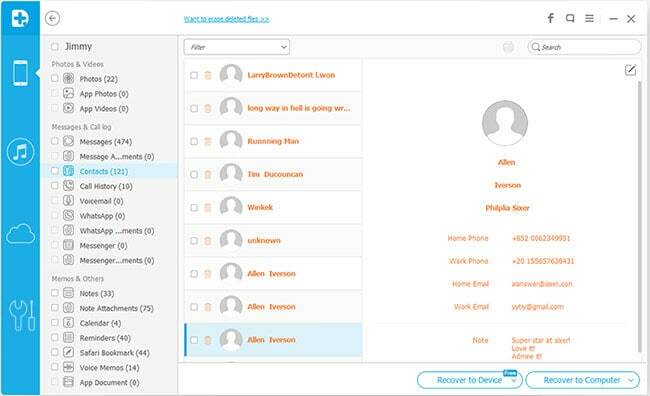 To begin with, get Wondershare Dr.Fone for iOS (Windows) or Wondershare Dr.Fone (Mac). Both of them allow you to find iPhone contacts in iTunes and get them out of it without a pain. The whole process is done automatically. All you need to do is to install and run the program on your PC or Mac, and then check and save your iPhone contacts to computer. In fact, you can download any version of the program for Windows. They all let you get contacts on any iPhone from iTunes. Just choose one and download it now. Next, let's try the Windows version of Wondershare Dr.Fone for iOS in steps. For Mac users, you also can do similar steps to get your iPhone contacts in iTunes on your Mac. After running the program on your computer (it must be the one where you've synced your iPhone with iTunes), select "Recover from iTunes Backup File" on the top. You'll see the window as follows. The scan will take you a few seconds. 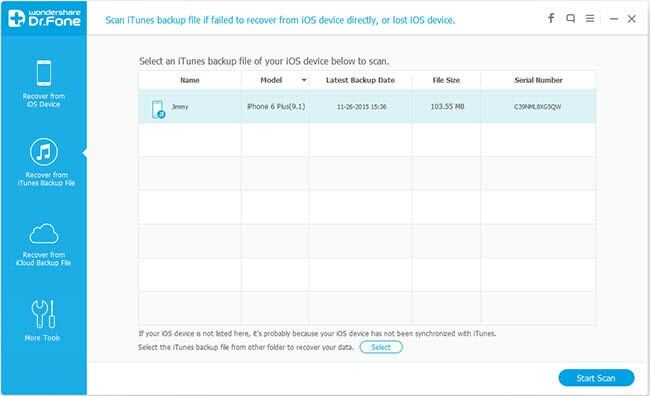 After that, all data in the iTunes backup will be extracted and displayed in clear categories like camera roll, photo stream, contacts, messages, notes, and so forth. To find your iPhone contacts, choose the category: Contacts. You can preview the full detail of every contact, including name, company, phone number, Email address, etc. Check what you want and click "Recover" to save it on your computer. It's a one-click work. Note: If you want to import these contacts back to your iPhone, or to a new iPhone, you can use Wondershare MobileGo for iOS or Wondershare MobileGo for iOS (Mac), which allows you to easily manage your iPhone contacts, messages, photos, videos, etc.